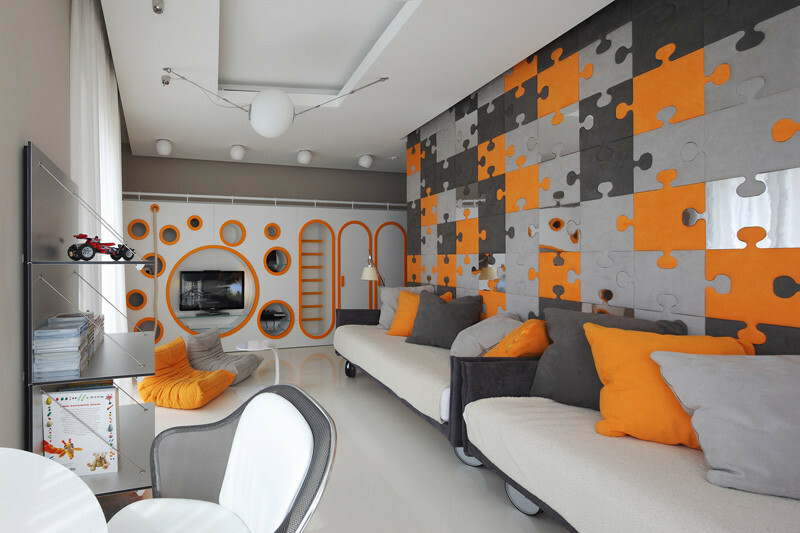 When Geometrix Design were planning this bedroom in a home in Moscow, Russia, they decided to create a fun and vibrant space that includes a custom wall unit along one wall, that serves as a storage system, a closet, and a play area. 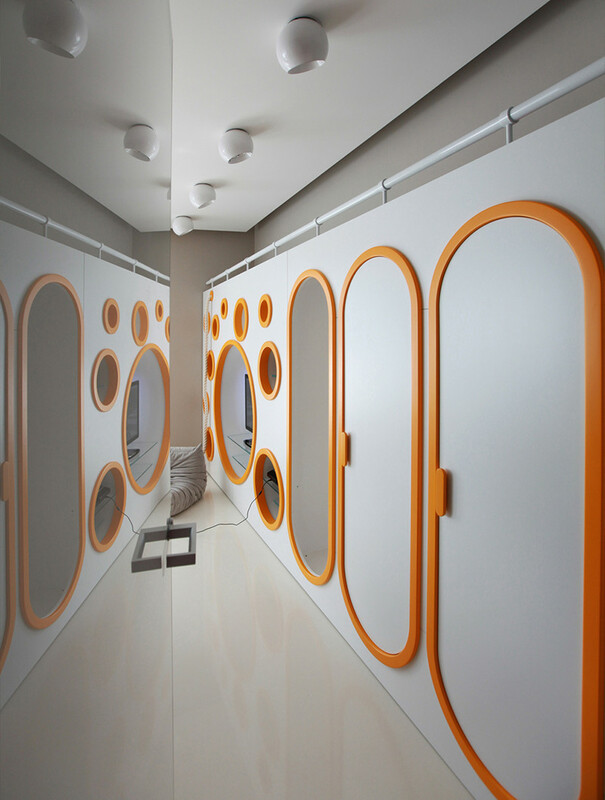 You can take the stairs or climb the rope up (with the help of additional circles that act as foot holes) to the the top of the closet which is covered in pillows, where you can sit and read a book, or make a fort. The rest of the room has two beds that also double as sofas, as well as a couple of desks, and some shelves. 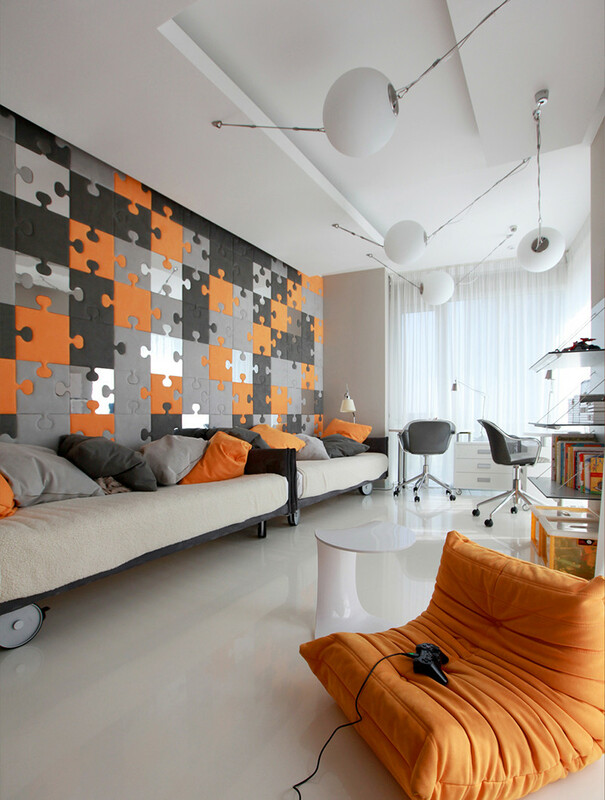 The soft puzzle wall was the designer’s idea, and it too was custom made for the space.